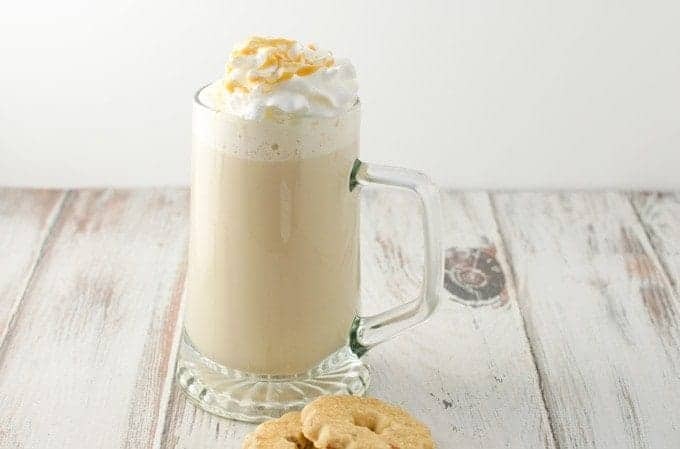 I will admit that I’m usually a frozen or iced coffee fan, but this time of year I crave hot coffee drinks. There’s just something warm and comforting about a big warm mug of flavored coffee, especially paired with a delicious holiday treat. Apparently I’m not alone since as you can see on the infographic at the bottom of this post, Christmas is traditionally one of the top selling retail coffee weeks. I usually don’t overly enjoy straight up coffee, so I generally go for flavored coffees like the ones found in the Folgers Gourmet Selections collection. I also love constantly changing the flavors up to meet my mood. 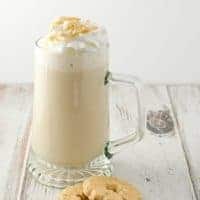 For example, if I know I need to get a lot of work done I tend to stick with unflavored coffee with lots of cream, while if I want to treat myself to a couple of cookies I like caramel and chocolate flavors, like the ones in this salted caramel white chocolate mocha recipe. Each bag of packaged coffee is 10 oz and the K-Cup® pods are available in 12 and 18 count. 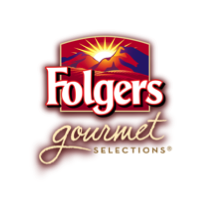 I enjoy Folgers Gourmet Selections because of all the different flavors and the fact that they taste like the real deal, while being affordable enough to enjoy daily. I’ve had flavored coffees before where the flavor sounds awesome, but once you taste it, it’s a huge let down but that’s totally not the case with Folgers. Every time you open the bag you can tell you’re going to get a great pot of coffee with rich coffee taste and aroma. 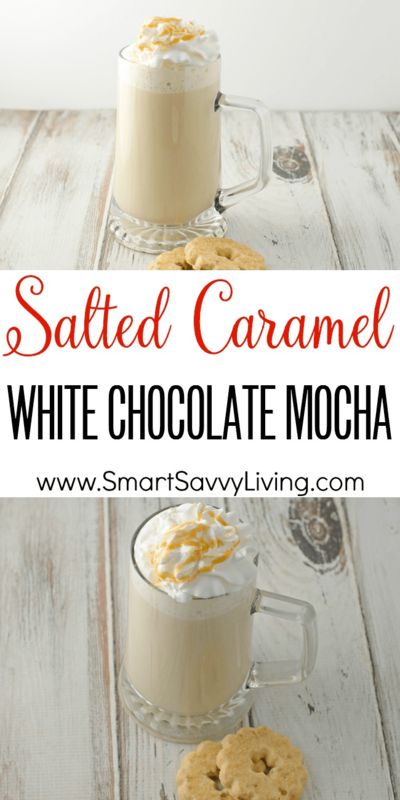 Here’s how I make my salted caramel white chocolate mocha recipe and don’t forget to enter the Folgers coffee giveaway below! In a large, at least 16 oz, microwave-safe mug, warm milk in the microwave for about 1 - 2 minutes. Once milk is warm, add in caramel coffee, white chocolate sauce, and salt and stir to thoroughly combine. Top with whipped cream and drizzle with salted caramel sauce, if desired, and serve immediately. This giveaway has now ended. Congrats to our winner, Marcia G! 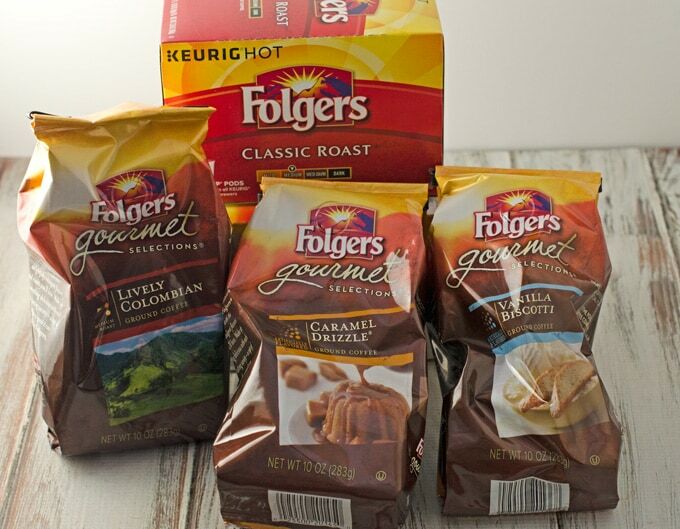 For more information about Folgers, visit the Folgers website for ground coffee or K-Cup® Packs and follow Folgers on Twitter, Facebook, or Instagram. I would like to try the Vanilla Biscotti. I’d like to try the Vanilla Biscotti. I’d love to try the caramel drizzle. It sounds yummy. I’d like to try the Lively Colombian K-Cups! I’d love to try the Mocha Swirl coffee! I really want to try the Vanilla Biscotti. I’d like to try their vanilla biscotti. I’m having some Folgers this morning; I buy their breakfast blend a lot. Would be fun to try their other flavors. I’d most like to try Lively Colombian Regular K-Cup Pods.